The Union government should either come out with an ordinance or appeal before the Supreme Court to stay its order on evictions of more than 10 million tribals and other forestdwellers, the Vanvasi Kalyan Ashram (VKA) said on February 25. The organisation said in its statement that two weeks after the Supreme Court order was passed the Union government has remained silent leading to anger and concern in the tribal societies. The Supreme Court order, it said would only add to the decades of injustice that tribal and other forest-dwelling communities had faced. VKA is an affiliate of the Rashtrayia Swyamsevak Sangh which works amongst tribals. It, like other RSS affiliates, has rarely in the past five years taken public positions criticising the BJP-led National Democratic Alliance government. The statements of the two organisations come in response to the Supreme Court order on February 13, demanding that states evict all tribals and other forestdwellers whose claims under the Forest Rights Act had been rejected. The court has given time till July to all states to ensure the evictions. The Union government had failed to appear in several hearings on the matter and to defend either the law or argue against summary mass-scale evictions. 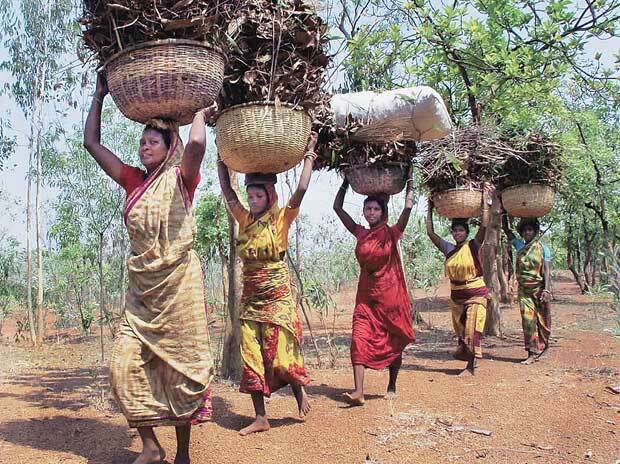 The Union tribal affairs ministry’s reports indicated that the order would impact around 1.89 million tribal and other forest-dwelling households whose claims to traditional lands had been rejected under the Forest Rights Act. Different states in the meanwhile have taken active steps to respond to the Supreme Court order. Madhya Pradesh state government set up a group of ministers to deal with all the issues arising out of the Supreme Court eviction orders. Madhya Pradesh has so far rejected claims by 362,024 families and these potentially face evictions after the Supreme Court order. Chhattisgarh, facing a forced eviction of potentially 462,403 families have already placed administrative orders in place to prevent evictions as it goes about reviewing all the cases to ensure previous government followed laid down regulations in rejecting these claims. The issue has turned a political hot-potato with the country gearing for general elections and promises to become another key poll issue between the incumbent BJP and the opposition. BJP lost the assembly elections recently in three states with considerable presence of tribal population - Chhattisgarh, Rajasthan and Madhya Pradesh. The Congress by taking an early position on the evictions order hopes to burnish its pro-tribal image building on its claim to having introduced the Forest Rights Act in the first place. Many of the tribal-dominated constituencies were swept up by the BJP in the 2014.